Priyanka Chopra shocked the industry and masses alike after opting out of her big-ticket Bollywood comeback film, Bharat. 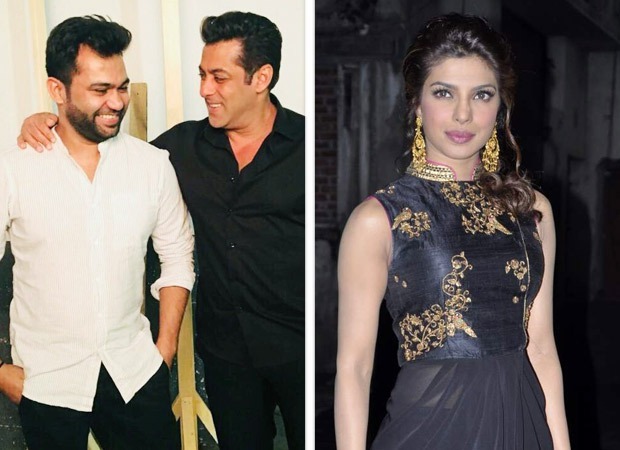 Yesterday, the director of the movie Ali Abbas Zafar took to Twitter to formally announce that she is longer a part of the movie and the reason is Nick Jonas. Now, one of the producers of the film has gone on record and called PC unprofessional for suddenly leaving the movie. Salman Khan’s brother in law Atul Agnihotri’s Reel Life Productions is co-producing Bharat. Nikhil Namit, the CEO, went on record and said that PC told them that she was engaged and therefore will not be a part of the movie and it was unprofessional of her to do so suddenly. There are insiders who claim that Salman is not very pleased with this development and has fallen out with Priyanka Chopra over this matter. It is unlikely that he will work with her again. After Priyanka, there is a contention that Katrina Kaif might fill in her shoes. There has been news that talks have already started from the makers’ end and it is likely that Katrina Kaif, Deepika Padukone or Jacqueline Fernandez might be considered for the role. As far as PC is concerned, there are rumours that she will tie the knot with Nick in October or November this year. Bharat is inspired by Korean film, Ode To My Father and is Salman’s dream project. It has been adapted to Indian sensibilities and is a mega-budget movie tracing seven decades from pre-independence to independence and the current period. Disha Patani and Tabu are a part of the movie too and will play pivotal roles. Boney Kapoor’s family to move into one home?